Though The Rothbloom Law Firm currently limits its practice to bankruptcy law, since 1991, Howard D. Rothbloom has represented Georgia homeowners in lawsuits against national banks and mortgage lenders. The cases attracted the attention of both the local and the national media, landing Mr. Rothbloom and his clients - often from modest backgrounds - in the spotlight. The issues litigated are relevant to the origins of the subprime lending crisis that led to the Great Recession. "With its lax consumer-protection laws, Georgia is among the most fertile ground in the nation for mortgage lending abuses. In 1991, I began representing people struggling against lending practices designed to strip the equity out of their homes. Until that time, few people in the United States had even spoken the term 'predatory lending'. The Great Recession was a global economic crisis that had its beginnings in lending abuses in the subprime sector of the consumer mortgage lending industry; practices rooted in self-interest, greed and injustice toward particularly vulnerable people. The stories that follow feature clients that I have represented and matters that I have dealt with since 1991. All of these clients have resolved their cases successfully. The stories show the origin and the evolution of subprime mortgage lending abuses from the consumer's perspective. They show the battles in the war to combat these practices. Individual and class-action lawsuits, local legislation and media coverage were victories in a process that informed and educated those who had the power to stop the abuses. No one, however, who had the power to stop them on a systemic basis had the courage to bring them to an end; not the banks, not the regulators, not the legislators. The practices continued to their natural conclusion... the loss of vast fortunes by those who invested in them, bank failures, and, ultimately, global economic disaster. Though perhaps no one intended the consequences of these abuses, most everyone who had the power to prevent them intended the practices that led to these consequences." Boston Globe, October 5, 1992: "4 Class-action Suits Hit Fleet's Georgia Unit" - Fleet/Norstar, the largest financial institution in New England, is facing four class action lawsuits claiming that its lucrative Georgia mortgage subsidiary conspired to deprive borrowers of their homes and commit them to usurious loans. One of the cases, filed by Howard Rothboom as co-counsel, asserts that the combination of usurious loans and harassing collection practices puts Fleet in violation of federal and state loan-sharking laws. Boston Globe, October 9, 1992: "Bankers Under the Gun" - Dogged by four class-action suits in Georgia, Fleet officials took the stage beside Atlanta Mayor Maynard Jackson to make a $38 million voluntary restitution to borrowers of the company's Georgia-based finance subsidiary, Fleet Finance, Inc. Howard Rothbloom, representing plaintiffs in a loan-sharking case against Fleet, said yesterday's voluntary restitution is "simply a way to distract everyone from the problems they're having." WSB-TV Channel 2 Action News, Atlanta, October 10, 1992: Video - The Rothbloom Law Firm client 75 year-old Robert Burgess of Decatur tells Channel 2's Lynn Harasin that he filed bankruptcy to stop Fleet Finance from foreclosing on his home. Mr. Burgess borrowed $13,000 at 26.39 % APR to renovate a church. After repaying $41,000, he still owes $17,000 that he pays by picking up aluminum cans. The Atlanta Journal and The Atlanta Constitution, October 11, 1992: "The Loan Trap" - Report on victims of a predatory lending industry that has been growing in Georgia since the state Legislature took the cap off interest rates in 1983. Those hurt the most are mostly poor, elderly and black. They frequently end up homeless after high interest and finance charges bleed them of all assets and they can no longer keep up with monthly payments. Most of these loans initially are made by small unregulated mortgage companies that search out homeowners with more equity than knowledge of finance. But the loans and the paper trail they've left in Georgia most commonly lead back to the largest financial institution in New England - Fleet Financial Group. WSB-TV Channel 2 Action News, Atlanta, October 1992: Video - Action News reporter Carol Sbarge tells of an investigation by the Georgia Governor's Office of Consumer Affairs into charges that Fleet Finance steels equity out of its consumers' homes. Fleet says that its decision to give $8 million to low income neighborhoods near planned Olympic venues has nothing to do with the investigation th and denies that it is giving the money as a means of damage control. WXIA-TV 11-Alive, Atlanta, November 1992: Video - 11-Alive reporter Marie Ryan presents The Rothbloom Law Firm clients victimized by Fleet Finance as they gather at Victory House, a southeast Atlanta church, to watch a CBS News 60 Minutes broadcast entitled "A Matter of Interest" in which they tell their stories. WAGA-TV Channel 5 Eyewitness News, Atlanta, November 1992: Video - Eyewitness News reporter explains that Fleet Finance interest rates are way above the going rate because the borrowers are considered high risk, unable to get loans from traditional banks; poor people who have lots of equity built up in their houses, but not enough knowledge of complex financial matters. The Rothbloom Law Firm client Pastor Craig Soaries explains the seriousness of the issue and its national importance. Fleet Finance claims that the 60 Minutes piece is not an accurate representation of the company's business practices, that the company only forecloses as a last resort and that the company lost $5.4 million on in Georgia in 1991. WSB-TV Channel 2 Action News, Atlanta, December 1992: Video - Action News consumer investigative reporter Patrick Crosby plays a secretly recorded collection call from Mr. Davis with Fleet Finance to The Rothbloom Law Firm clients Lewis and Annie Shields. Georgia Attorney General Michael Bowers has appointed former DeKalb County District Attorney Bob Wilson as special assistant to conduct a state civil investigation of lending abuses in Georgia by the company. WSB-TV Channel 2 Action News, Atlanta, December 14, 1992: Video - Action News consumer investigative reporter Patrick Crosby reports on a class action lawsuit filed in the Superior Court of Cobb County by Howard Rothbloom, Roy Barnes, Jeffrey Cassurella and Jeffrey Sakas against Fleet Finance based upon a pattern of racketeering. Boston Globe, December 15, 1992: "Fleet to Meet Today with Borrowers" - A meeting organized by U. S. Congressman of Massachusetts Rep. Joseph P. Kennedy 2d is scheduled for today of representatives of Fleet Financial Group, Inc., the Georgia attorney general, borrowers suing Fleet and community activists as a "fact-finding effort by Congressman Kennedy to gain a better understanding of Fleet, the lawyers and the community groups." The meeting included Kennedy; three Fleet officials -- president of fleet Bank of Massachusetts John Hamil, executive vice president James P. Murphy and general counsel William C. Mutterperl -- assistant Georgia attorney general Beverly Martin,; Georgia plaintiffs' attorneys John Long, Howard Rothbloom and William J. Brennan, Jr.; and Bruce Marks, a community activist and Fleet critic who is director of the Union Neighborhood Assistance Corp. in Boston, n/k/a Neighborhood Assistance Corporation of America (NACA). WSB-TV Channel 2 Action News, Atlanta, December 15, 1992: Video - A Cobb County Superior Court judge announced certification of a class action lawsuit by The Rothbloom Law Firm client Lillie Mae Starr against Fleet Finance. Ms. Starr sued the company alleging that unfair lending practices were used to force her into foreclosure. WSB-TV Channel 2 Action News, Atlanta, December 15, 1992: Video - Action News consumer investigative reporter Patrick Crosby reports on reaction to a Cobb County Superior Court judge's announcement of certification of the class action lawsuit by The Rothbloom Law Firm client Lillie Mae Starr against Fleet Finance. The company said that they expect to prevail in the case. Boston Globe, December 16, 1992: "Fleet Aid Package May Grow; Georgia Judge Approves a Third Lawsuit Accusing Bank Subsidiary of Racketeering" - After a two hour meeting with their legal adversaries, top officials of Fleet Financial Group, Inc. yesterday agreed to refine and possibly expand the company's aid package for poor, mostly black victims of mortgage lending abuses in Georgia. The agreement was reached during a meeting in Boston organized by Rep. Joseph P. Kennedy 3d and came hours after a Georgia judge certified a third class action lawsuit against Fleet-- this one charging Fleet's Atlanta-based second-mortgage subsidiary with violation racketeering statutes by charging exorbitant interest rates and using strong-arm collection tactics. WXIA-TV 11- Alive, Atlanta, December 16, 1992: Video - 11-Alive reporter Marie Ryan reports that, as Fleet Finance looks down the barrel of the Lillie Mae Starr class action lawsuit, it has offered to lower interest rates and payments on borrowers' loans. "This is the story of the ultimate powerless people against the ultimate powerful industry" declares Howard Rothbloom. Associated Press, December 21, 1992: "Bank Tangled in Loan Scandal that Victimized Homeowners" - Allegations of discriminatory lending begin to plague Fleet Finance, Inc. of Atlanta; Howard D. Rothbloom relates his clients' experiences. Boston NPR, 1993: Audio - In a two part series, Reporter Bruce Gellerman tells the story of Lillie Mae Starr that led to a class action lawsuit in Georgia against Fleet Finance. The Charlotte Observer, January 10, 1993: "Complaints Arise Over Finance Firms; Chrysler First Faces Lawsuits"
News at Ten Channel 46, Atlanta, 1993: Video - News at Ten reporter Lu Ann Sodano reports that the Georgia House Banking Committee heard testimony from The Rothbloom Law Firm clients victimized by Fleet Financed in support of a bill to cap interest rates on mortgage loans. The bill would cap interest rates at 11% above the prime rate. Committee members express problems with the bill. WSB-TV Channel 2 Action News, Atlanta, April 27, 1993: Video - Action News consumer investigative reporter Patrick Crosby reports that a Cobb County Superior Court judge enjoins Georgia foreclosures by Fleet Finance homeowners who are behind on their mortgage payments. The order is unprecedented. The Atlanta Journal and The Atlanta Constitution, April 28, 1993: "Cobb Judge Blocks Fleet's Resumption of Foreclosures" - Cobb County Superior Court Judge Mary Staley has ordered Fleet Finance, Inc. to halt all residential foreclosures and evictions in Georgia for a slong as six months. The order stemmed from a class action lawsuit brought on behalf of Smyrna resident Lillie Mae Starr, who faced foreclosure threats both times Fleet bought her high-interest loan. The Atlanta-based company had previously halted foreclosures for 60 days while unveiling a $38 million program to aid mortgage customers nationwide, but ended the moratorium just prior to the judge's order. The Atlanta Journal and The Atlanta Constitution, June 15, 1993: "What's Ahead for Fleet" - Fleet Finance, Inc. still faces three legal challenges after the Georgia Supreme Court dismissed an Augusta, Georgia class action lawsuit against the company. WSB-TV Channel 2 Action News, Atlanta,, December 15, 1993: Video - Action News consumer investigative reporter Patrick Crosby tells the story of The Rothbloom Law Firm clients Vivian and Greggory Johnson victimized by Fleet Finance in a 29.35% APR mortgage regarding a possible settlement by the Georgia Attorney General and the Georgia Office of Consumer Affairs with the company. The settlement would roll back interest rates on mortgages of more than 21% interest. Boston Globe, December 16, 1993: "Fleet to pay $100m Loan Bias Settlement" - After two years of denying that it exploited poor, mostly black himeowners, Fleet Financial Group, Inc. will today pledge $100 million in loans, refunds and other relief to Georgia residents. The money -- roughly $70 milliion in a loan fund and roughly $30 million in payments to borrowers -- will settle a yearlong investigation by the Georgia attorney general into allegations that Fleet's Atlanta-based mortgage subsidiary preyed on minority borrowers by charging high fees and interest rates. WSB-TV Channel 2 Action News, Atlanta, 1993 - 1994: Video - Action News consumer investigative reporter Patrick Crosby tells of a protest by people angry about a settlement involving Fleet Finance and the State of Georgia. The settlement requires offers $165 per person's qualifying loan but requries that the borrower sign a waiver releasing Fleet of liability and preventing further participation in the Lillie Mae Starr class action lawsuit. News at Ten Channel 46, Atlanta, January 1994: Video - News at Ten reporter John McNight reports that some 400 hundred homeowners and former homeowners, clients of The Rothbloom Law Firm, that were victimized by Fleet Finance rallied at the First Iconium Baptist Chuch in southeast Atlanta are carrying on their battle for what they feel is a fair deal. An investigation by the Georgia Attorney General found Fleet in violationof seven provisions of the Georgia Fair Business Practices Act. and offered some victimized homeowners $162.73 in return for a full release of liability. Howard Rothbloom said: "It is outrageous that a person uses a gun to take someone's car, they will go to prison. But if a lender uses a pen to take someone's house, but if a lender uses a pen to take someone's house, then all they have to pay is $162.00 in restitution. That is not really fair." The rally revived interest in the class action lawsuit believed to have been all but extinguished by the Georgia Attorney General's settlement. WXIA-TV 11-Alive, Atlanta, January 1994: Video - Hundreds of Fleet Finance borrowers staged a ralley to protest the settlement between the State and Fleet. They launched Operation Fed-Up to convice the Federal Reserve Bank to stop Fleet's acquisition of other banks. NBC Nightly News, Sunday, with Garrick Utley, 1993 - 1994: Video - Correspondent Jeff Madrick reports on low income and minority homeowners like The Rothbloom Law Firm client Essie Mae Hector who took out high interest second mortgages to pay off debts and end up losing their homes. The Atlanta Journal and The Atlanta Constitution, February 11, 1994: "Omission: Event for Insurance Commissioner May Have Violated Campaign Reporting Laws" - While Fleet Finance, Inc. was under investigation by Georgia's attoreny general, the Georgia Insurance Commissioner allowed a Fleet executive to host a campaign fund-raiser for him. In a possible violation of state campaign reporting laws, the Insurance Commissioner did not disclose on his year-end campaign finance report that the executive paid the cost of the event. Howard Rothbloom, a lawyer representing plaintiffs in a class action lawsuit against Fleet questioned the propiety of the fund-raiser and said: "It raises serious concerns when this company is going around making contributions and hosting fund-raisers for the very people who are charged with the responsibility of overseeing the interest of Georgia homeowners and Georgia citizens." The Atlanta Journal and The Atlanta Constitution, August 17, 1994: "Fleet Agrees to Settle Remaining Class-action Suit for $6 Million" - Fleet Finance, Inc. has agreed to pay about 2,800 black borrowers as much as much as $20 million in cash payments and debt forgiveness in a Richmond County, Georgia Superior Court class action lawsuit.. The interst rate on active loans would be reduced an average of 4.5 percent, and anyone charged more than eight points would receive $1,000. Boston Globe, August 17, 1994: "Fleet Agrees to $5.95M for Loan Victims" - Fleet Finance, Inc. has agreed to pay $5.95 million to mostly black and low-income homeowners in Georgia who were overcharged for loans. Victims include Lillie Mae Starr, a retired tea packer, who was charged 20 percent interest on a loan and had to refinance it twice because she fell behind on her payments. In addition to cash payments, Fleet agreed to clean up credit records of 4,000 borrowers whose loans were reported as delinquent. The New York Times, December 13, 1997: "Lowering the Credit Fence; Big Players are Jumping Into the Risky Loan Business": - Big lenders are expanding their lending to "subprime" borrowers, as they are known in the trade, despite the risks these borrowers pose. Indeed, some critics say, it is precisely because of the borrowers' lack of financial acument that so many are jumping into the business. Subprime borrowers, in contrast to those considered prime-lending prospects, generally include people with poor credito histories -- or no credit history as all. A large number appear to be low-income, inner-city minority residents, like The Rothbloom client Beatrice Smith. Others with more substantial incomes may patronize subprime lenders because they have suffered a recent financial calamity. CBS Evening News, 1998: "Loan Companies Exploit Elderly" - CBS News Eye On America correspondent Wyatt Andrews tells what happened to The Rothbloom Law Firm client 72-year-old Sanders Faust of Decatur, Georgia. Faust, who cannot read or write, faces foreclosure on his home because of the questionable lending practices of a loan company called the Associates. The Atlanta Journal and The Atlanta Constitution, March 14, 1998: "Senate Hearing Set Monday on Lending to Poor" - A U. S. Senate committe will hold a hearing on home lending practices that victimize the poor. The topic is "Equity Predators: Stripping, Flipping and Packing Their Way to Profits." Howard Rothbloom said stripping refers to "draining the equity out of a home." Flipping "is repeated, costly refinancings with little benefit to the borrower, while packing involves selling expensive credit insurance policies, financed at high rates with the loan." Public Broadcasting Atlanta: Video - The Layman's Lawyer's Denis O'Hayer hosts Howard Rothbloom and Terry Franzen in a discussion about predatory lending. The Atlanta Journal and The Atlanta Constitution, February 15, 2001: "Editorial : Foreclose on State's Predatory Lenders" - This editorial about the perils of subprime mortgage lending targeting consumers who have poor credit, are young and inexperienced, or are elderly and have equity in their homes, supports proposed legislation to rein in predatory lenders. The bill faces resistance from bankers and lawmakers in debt to the banking lobby. Howard Rothbloom speaks about the victims. The American Banker, October 5, 2001: "Single-Premium Rout Doesn't End Fight" - Howard Rothbloom comments on remarks made by Fed Chairman Alan Greenspan on predatory lending. Greenspan said that abusive lending practices were impeding minorities' economic progress. The American Banker, February 12, 2001: "PR Woes Continue to cloud Citi-Associates Deal" and The Lawyer Who Took on Associates" - In these two articles, writer Bill Stoneman tells how Citigroup has been tagged with abusive lending charges in its $31 billion acquisition of the subprime mortgage lender Associates First Capital Corp. Stoneman, who describes Howard Rothbloom as "a plaintiffs' lawyer who for years has been a thorn in the side of the financial services industry", says Rothbloom helped create an association in many Americans' minds between subprime and predatory lending. Rothbloom represented about 2,000 borrowers in a class action charging that an Atlanta unit of Associates failed to secure approval from Georgia regulators to sell single-premium credit life insurance to borrowers. Citi Chaiman Sanford I. Weill later lamented the predatory lending charge in his autobiography The Real Deal stating "... the worst came from not sufficiently considering the changing regulatory landscape and the tenacity of activist groups focused on reforming the consumer finance business." "Requiring low-income borrowers to buy life insurance had become a common industry practice for years" Weill said, until Rothbloom's case brought the practice to an end. The Atlanta Journal-Constitution, December 22, 2001: "3,500 Georgians to Share in Insurance Settlement" -Two class-action lawsuits filed by Howard D. Rothbloom seeking to recover illegal premiums for thousands of credit life insurance policies sold to Georgia homeowners by Associates Financial Life Insurance has been settled for up to $13.5 million. The Atlanta Journal-Constitution, December 18, 2002: "Lien Sale Means Lean Time" - Reporter Ty Tagami tells the story of Charles Spiller, represented by Howard Rothbloom in bankruptcy court, an ill 60 year old former truck driver and home fix-it man struggling to save his home when his $1,200 property tax debt ballooned to $32,000 because of the amount state law allows private collection companies to charge. The Atlanta Journal-Constitution, January 27, 2003: "Lenders' Overstated Claims Shouldn't Doom New Law" - This editorial challenges lenders' overstated claims intended to overturn Georgia's anti-preditory lending law, the toughest law of its kind in the country. "What a bunch of whiny babies," says Howard Rothbloom. The Atlanta Journal-Constitution, April 15, 2005: "Bankruptcy Law Rebuilt" - Howard Rothbloom comments on changes to the Bankruptcy Code. The Atlanta Journal-Constitution, April 17, 2005: "Going for Broke Won't be so Easy" - Howard Rothbloom comments on changes to the Bankruptcy Code. The Atlanta Journal-Constitution, April 21, 2005: "Lawyers Wary of Bankruptcy Rules" - Howard Rothbloom comments on changes to the Bankrutpcy Code. The Atlanta Journal-Constitution, October 15, 2005: "Bankruptcy Laws About to Get Tight" - Howard Rothbloom comments on changes to the Bankruptcy Code. The New York Times, August 6, 2007: "Mortgage Maze May Increase Foreclosures" - Writer Gretchen Morgenson shows how The Rothbloom Law Firm client Mamie Ruth Palmer got trapped in a complex, chaotic and confusing system for consumers trying to rescue their homes from foreclosure. 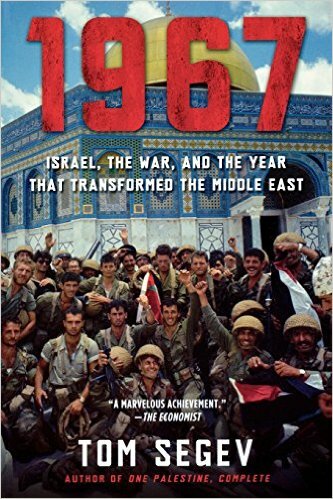 1967: Israel, the War, and the Year that Transformed the Middle East, 2007: In this 704 page history of the 1967 Six Day War published in 2007, leading Israeli historian Tom Segev cited a letter from Howard Rothbloom to President Lyndon B. Johnson urging the president to stand by Israel. The Atlanta Journal-Constitution, March 5, 2008: "3 Anti-foreclosure Bills Pass 1st of 2 Senate Panels" - "Lenders shouldn't be allowed to lurk in the shadows of a foreclosure case", said Howard Rothbloom in support of 3 anti-foreclosure bills before the 2008 Georgia General Assembly that would extend notice periods and would require that the owners of home loans be named in courthouse records. The Atlanta Journal-Constitution, March 14, 2008: "Shelter from the Storm" - In this AJC editorial, Howard D. Rothbloom is quoted in support of two Georgia State Senate bills which would help Georgia homeowners facing foreclosure. One requires a public record naming the owner of a home loan. The other extends the foreclosure notice requirement for troubled homeowners from 15 to as much as 60 days. The bills became law. The New York Times, March 30, 2008: "Foreclosure Machine Thrives on Woes" - Writer Gretchen Morgenson explains that The United States Trustee Program, a unit of the Justice Department, has brought a case against a national mortgage lender that it says is abusing the bankruptcy system in the case of John and Robin Atchley, The Rothbloom Law Firm clients. The Atchley's case drove the United States Senate to investigate mortgage lender misconduct in bankruptcy cases. The Atlanta Journal-Constitution, March 30, 2008: "Couple Lose Home in Countrywide Dispute, But May Yet Win" - Writer Carrie Teegardin tells the story of The Rothbloom Law Firm clients John and Robin Atchley as a court action by The United States Trustee Program, a unit of the Justice Department, raises the curtain on a bankruptcy system that has tolerated too many injustices for families who are working hard to hold onto their homes. 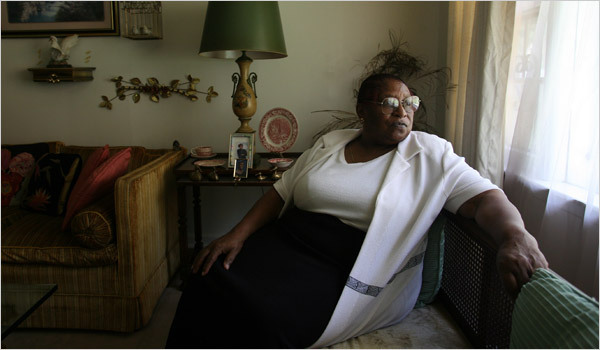 The New York Times, July 27, 2008: "How One Borrower Beat the Foreclosure Machine" - Writer Gretchen Morgenson follows up on the story of The Rothbloom Law Firm client Mamie Ruth Palmer and explains how, "after enduring six years in foreclosure hell, almost losing her home twice, Ms. Palmer has escaped intact". Creative Loafing, December 10, 2008: "A Five Year Battle to Fight Foreclosure" - Writer Mara Shalhoup tells the story of The Rothbloom Law Firm clients who claim that lenders are tacking on unsubstantiated, possibly illegal fees that total thousands of dollars, making it difficult for borrowers to keep their house even after they pay off the past due amount. The Atlanta Journal-Constitution, January 25, 2009: "Mortgage Crisis: Who Owns My House" - Writer Carrie Teegardin tells the story of how The Rothbloom Law Firm client Zella Mae Green is fighting back in bankruptcy court to stop a foreclosing lender and to make it to prove that it actually owns her loan. WXIA Television, 11 Alive Atlanta, March 4, 2009: "Stop Foreclosures With Three Simple Words?" - Reporter Keith Whitney interviews Howard D. Rothbloom regarding homeowners' demands that foreclosing lenders produce the note to prove their claims in litigation. Creative Loafing, April 22, 2009: "What Makes These Atlantans So Damn Happy?" - Writer Mara Shalhoup tells of the happy ending for The Rothbloom Law Firm clients who fought A Five Year Battle to Fight Foreclosure. The Atlanta Journal-Constitution, January 1, 2010: "Georgia Personal Bankruptcies Rate Third-Highest" - Writer Carrie Teegardin explains that one in 50 Georgia households declared bankruptcy in 2009 between January and November, leaving the state with the third-highest personal bankruptcy rate in the nation. The Atlanta Journal-Constitution, June 8, 2010: "Lender to Pay $108 Million; Cherokee Couple's Case Helped Start Probe of Countrywide's Practices" - The Federal Trade Commission announced Monday that Countrywide’s mortgage servicing arm will pay $108 million to settle charges that it abused 200,000 struggling homeowners — including The Rothbloom Law Firm clients John and Robin Atchley, a couple whose case inspired the high-profile investigation. 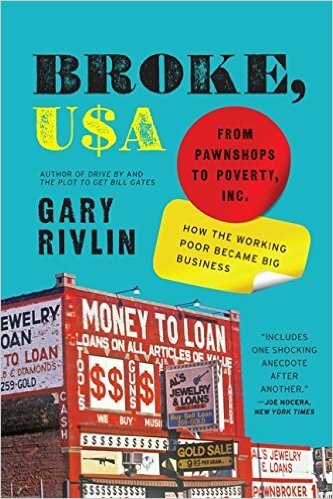 Broke USA, June 7, 2010: "From Pawnshops to Poverty, Inc. - How the Working Poor Became Big Business" - Author Gary Rivlin goes behind the scenes of the subprime lending industry in his new book Broke, USA, which examines the $33 billion-a-year "poverty industry. Rivlin tells the story of Howard Rothbloom's class action lawsuit Lillie Mae Starr vs. Fleet Finance and the campaign that popularized the phrase "predatory lending." The New York Times, June 7, 2010: "Countrywide Settles Fee Complaint" - The Federal Trade Commision inquiry that followed a March 2008 article in The New York Times focusing on mortgage servicing practices and the experience of The Rothbloom Law Firm clients Robin and John Atchley, a Georgia couple who were charged thousands of dollars in questionable fees by Countrywide after emerging from bankruptcy, has ended in a $108 million settlement. The FTC charged that the company overcharged customers who were struggling to hang onto their homes. The Washington Post, June 10, 2010: "FTC Wins Countrywide Settlement, But Settles a Little Early" - Personal Finance Columnist Michelle Singletary criticisizes a $108 million Federal Trade Commission settlement with Countrywide Home Loans sparked by the experience of the The Rothbloom Law Firm clients Robin and John Atchley. The settlement also requires that the Countrywide loan-servicing operation make significant changes in handling bankruptcy cases. For example, the servicer must send borrowers in Chapter 13 bankruptcy proceedings a monthly notice with information about what amounts are owed. The servicer also has to come up with a program that ensures the accuracy of loan information filed in those Chapter 13 cases. Singletary lamented, however, that FTC officials should have been more vigilant. 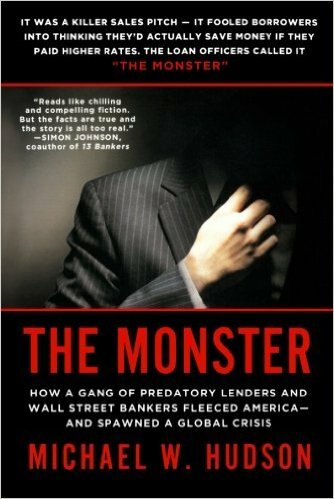 The Monster, October 26, 2010: "How a Gang of Predatory Lenders and Wall Street Bankers Fleeced America -- and Spawned a Global Crisis" - Michael W. Hudson, a staff writer at the Center for Public Integrity traces the subprime lending industry from its birth—in the ashes of the savings and loan crisis—to its implosion, decades later. Hudson tells how Howard Rothbloom's representation of Lillie Mae Starr in a class action lawsuit brought together futrure Georgia Governor Roy Barnes and Atlanta Legal Aid Society's Bill Brennan and took on the air of a social movement. The victims of Fleet Finance packed legislative hearings in Georgia and in Washington, D.C., asking for new laws to protect them from abusive lenders. "As the decade progressed," Hudson tells, "the issue of predatory lending would keep growing." The Atlanta Journal-Constitution, September 15, 2010: "Deal Could Face Financial Insolvency After Backing Family Business": In the midst of his campaign for governor, Nathan Deal faces such dire financial troubles that he must sell his home to avert foreclosure or bankruptcy. In an interview, Howard Rothbloom suggests ways for the gubernatorial candidate to resolve his predicament. The Atlanta Journal-Constitution, October 27, 2010: "Georgia's No-trial Foreclosures Mask Problems, Critics Say": Howard Rothbloom comments on Georgia's foreclosure crisis. The New York Times, November 27, 2010: "Don't Just Tell Us. Show Us That You Can Foreclose" - Writer Gretchen Morgenson tells that the United States Trustee Program, the unit of the Justice Department charged with overseeing the integrity of the nation’s bankruptcy courts, is stepping up its scrutiny of the veracity of banks’ claims against borrowers, and its approach is evident in two cases in federal bankruptcy court in Atlanta. Howard Rothbloom, a lawyer for borrowers, welcomes increased government scrutiny of banks' claims of ownership. USA Today, December 20, 2010: "Homeowners Use "Show Me the Note" to Fight Foreclosure" - Howard Rothbloom comments on "enhanced review of documents" by the United States Trustee Program, which guards against bankruptcy court fraud for the Department of Justice, in cases where banks seek to foreclose or collect payments. The New York Times, February 27, 2011: "Waiting Seven Years for Two Answers" - Writer Gretchen Morgenson explains how Howard Rothbloom, after pursuing the answers to two questions in a seven year mortgage dispute on behalf of his client, Zella Mae Green, finally successfully settled her case.